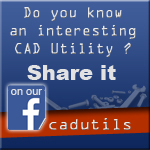 Application is a set of functions which supports the work with ZWCAD, by automation of used commands. The application is a next generation version of the TOOLS. It works with version ZWCAD Classic.